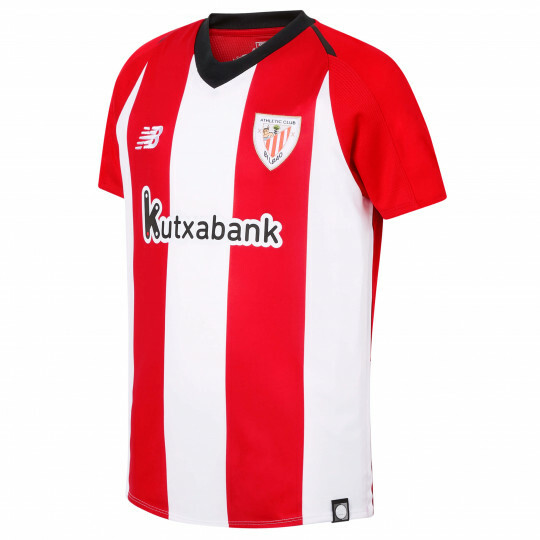 Created to celebrate Athletic Club's 120 anniversary, the new shirt is inspired in our essence, transmited from one generation to another. Our crest and colours represent a unique way to compete. 100% Polyester subprint to front panel with 100% Polyester mesh back body panel. Wicking moisture management / anti-bacterial treatment resists odours. Crossover V-neck 1x1 rib collar. Full color Athletic Club crest with satin stitch embroidery for application. 120 year anniversary back neck heat transfer. Embroidered NB logo. Heat transfer basque flag to back neck. NB Authenticator - Holographic woven tab with a stitched finish on the lower hem to ensure genuine NB quality.